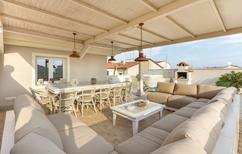 “Very attractive stylish furnishings,” wrote one customer about the holiday home in Tuscany. Tuscany | Would you like to know which holiday home or apartment is particularly worth spending a holiday in? 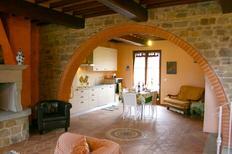 Here we'll show you the accommodation in Tuscany, which has received the best reviews from our customers. 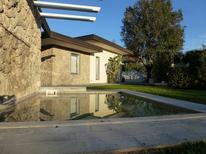 Secluded country house for up to 12 people in Chianti. 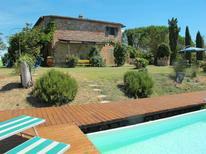 ​Tuscany | Give your Italian holiday the perfect touch with a holiday home plus pool! And let yourself completely relax with a view of the rolling hills and vineyards. A holiday house in Tuscany costs on average USD 1,030 in the cheap travel period and USD 1,649 in the peak season per week. These details are of course in relation to the house and not per person as well as includes the obligatory additional charges. Marco Polo recommends atraveo: Marco Polo – Tuscany 2012, page 126. Baedeker recommends atraveo: Baedeker Allianz Travel Guide – Tuscany 2010, page 112. 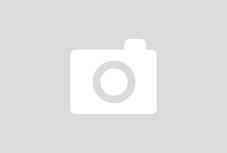 Once again one of most booked travel destinations on atraveo. The longing and yearning for Italy has one name – Tuscany! You can expect charming country estates surrounded by olive groves and light flooded cypress avenues. Deciding where to go in Tuscany, and where to base your holiday home, is tricky. From mountain hiking, wine-tasting, waterfall wading, to sightseeing, this remarkable region in Central Italy offers more than just one holiday's worth of activities. 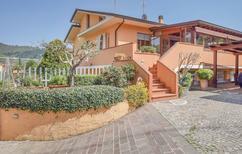 A holiday home in Florence leaves you free to explore this charming, cosy city at your leisure. A highlight must be the memorable views of the city – the River Arno and the hugely disproportionate dome of the Cathedral – from Michelangelo Square, particularly during the evening. The significance of Michelangelo's David is made clear in the Accademia and Galileo's finger is on display at the Galileo Museum if you're interested. Visit the laid-back Gothic city of Siena – Florence's one-time rival – with its welcoming square, palaces, and towers. If you go to visit the Leaning Tower of Pisa, try to spend the rest of the day strolling through the walled city of Lucca nearby. 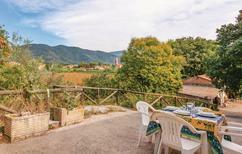 For wild, unspoilt scenery, book a holiday apartment in Maremma on the Tuscan coast. Use your holiday apartment as a base for exploring the region's mountains, swamps, local wildlife, and medieval towns. 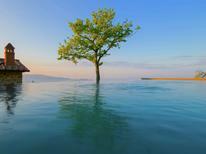 Relax in the popular Saturnia Springs or horse-ride along remote beaches. Further out to sea lies the island of Elba, Napoleon's idyllic place of exile, where you can hike, surf and snorkel. Drive along the jagged peaks and green mountains of the Garfagnana region, walk across a suspended rope-bridge in Abetone, and hold your nose as you walk through the sulphurous geysers of the Biancane Geothermal Park. Skis are needed in winter while the gentle hills and medieval towns of Chianti offer relaxing vistas for summer wine tasting. Walk through the mysterious sunken roads of the Etruscans after whom this remarkable region of Tuscany is named.